Ginny joined Cornerstone Capital Advisors in April of 2014, and serves as the Operations Administrator. She is responsible for scheduling client meetings and provides general administrative and operational support to the firm. Ginny also leads Cornerstone’s Outreach Committee, finding volunteer opportunities for our staff at soup kitchens and Habitat for Humanity, as well as coordinating our annual Adopt-A-Family project. She also helps organize our employee functions and outings. 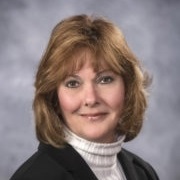 Ginny attended Malone College and has spent the majority of her career working as an Administrative or Executive Assistant for several manufacturing companies and hospitals including Aultman Health Foundation. She has extensive experience in organizing and leading outreach programs, marketing, and customer service. Ginny is originally from Alliance, Ohio and currently resides in Uniontown. She has a son, Sean, who graduated in 2018 from Kent State University.